This course is for not-for-profit organisations that use minibuses. 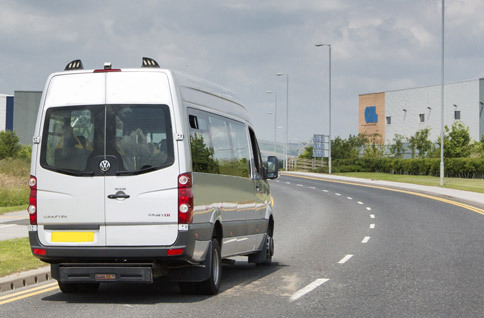 The Minibus Driver Awareness Scheme (MiDAS) is a national standard for assessing minibus drivers. It’s free to join for organisations that provide transport non-commercially for the benefit of the community. Groups like this can charge a fee to people using their minibus, without the driver needing a passenger-carrying licence. But they need a permit to do this. See gov.uk not for profit passenger transport permits. The course costs £69 (standard course) or £99 (accessible course) per person, based on a minimum of six course delegates. It will help improve your minibus skills and make you a safer driver. You’ll learn how to reduce risks, be aware of your passengers, and be safer on the road. If you complete the training, you’ll get a certificate showing you meet the MiDAS standard. To keep this recognition you would need to go on a refresher course within four years. There’s a three-hour classroom-based session, and then a one hour, one-to-one driving assessment in your vehicle on the road. This course is if you use a wheelchair accessible minibus with passenger lift. There’s a three-hour classroom-based session, and then a one-and-a-half hour, one-to-one demonstration of specialist seatbelt and lift equipment followed by a driving assessment in your vehicle on the road. You must have the correct vehicle and driving licence to go on this course. Check if you have the correct vehicle and driving licence. You can go on this course if you drive a passenger-carrying vehicle with between nine and 16 passenger seats – not including the driver. Your licence needs to show category D1. It means you can drive a minibus without taking a special test. If you are 70 or over you need to make a special application, and meeting certain medical standards.